Chileka reggae group Black Missionaries will this year release singles despite launching Kuimba 11 last year. Blacks lead vocalist, Anjiru Fumulani said, on Sunday they were determined to drop four tracks this year. “We will not be releasing any album since we are still basking in the glory of Kuimba 11. The songs from Kuimba 11 are still fresh but we decided to offer something to fans; so, brace for the singles this year,” Anjiru, said. Anjiru said, having had a break in January, they are now ready to offer people reggae vibes in 2019. “We are where we are because of the support we get from people. The support is just out of this world and this is why we respect the audience and always make sure that we put up great performances to satisfy them,” he said. 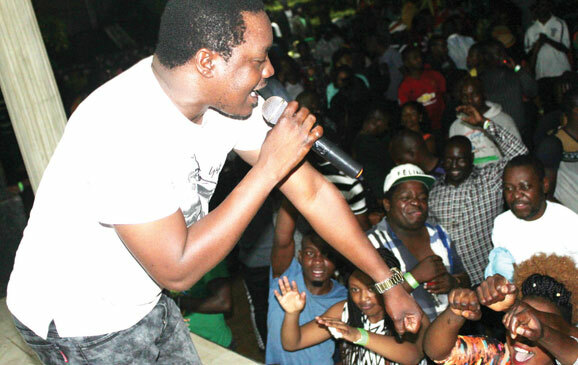 The reggae group held their first show of 2019 at Ozone Refreshment Centre in Machinjiri, Blantyre, which attracted an impressive audience. Before Blacks performance, presidential aspirant, Ras Chikomeni Chirwa, is reported to have warmed up the stage and attracted massive support from the audience. Their show came barely a week after Black Missionaries performed in Lilongwe. The group also appealed to people to refrain from indulging in violence ahead of the May 21 elections. Keyboardist Chizondi Fumulani hailed people for coming in large numbers. “We are always thankful to God for the talent and again people for their support. The attendance today is a clear testimony that they love our music and we do not take that for granted,” Chizondi said. The group offered songs from all their Kuimba albums that kept people on the dance floor.